Music for two lutes from the library of the Cistercian abbey in Grüssau (Krzeszów). Thursday 23 March 2017 19:00 (introduction) & 19:30 (concert) — Old Townhall (Fresco hall), Radnická 8, 602 00 Brno, Czech Republic. Both artists play on identical lutes from the workshop of Lars Jonsson, Dalarö (SE). This model was very popular in the Baroque era; its belly is based on an earlier instrument from the workshop of Hans Frei. 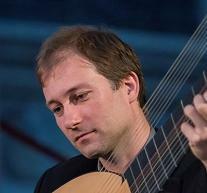 The concert is part of the project “Music by Czech and German composers from the lute collections of the library of the Cistercian Abbey in Grüssau (Krzeszów)”. The project includes a series of educational activities in cooperation with the Janáček Academy of Music and Performing Arts in Brno, the University of the Arts Bremen and The Prague Conservatoire. Church of the Assumption (1728–1735), Grüssau (Krzeszów). Today’s concert presents unknown compositions from the pens of well-known composers, especially Georg Philipp Telemann whose anniversary we are commemorating in 2017. This programme for the unusual instrumentation of two lutes draws from the vast collection of lute tablatures in the library of the Cistercian monastery in Grüssau (today Krzeszów, Poland). In this abbey, as well as in the whole region of Silesia, Bohemia and Moravia, the lute was a very popular instrument during the 17th and 18th centuries, to wit, mostly in its Baroque 11-course form. The main contributors to this development were the native Lower Silesians Esaias Reusner and Sylvius Leopold Weiss and the cities Breslau (Wrocław), Prague, Dresden and Leipzig. The history of Grüssau was very eventful: The initial Benedictine monastery, founded in 1242 by Anna of Bohemia, was dissolved already in 1289. The chapter property was acquired by Bolko I “the Strict”, Piast duke of Schweidnitz (Świdnica), who founded a new Cistercian monastery in 1292. After the death of the last duke of Schwednitz in 1368, the vacant fief was incorporated with the Bohemian Crown (1392). In spite of destruction during the Husite Wars and the Thirty Years War, Grüssau became one of the wealthiest monasteries in Silesia; its chapter property comprised 297 km² with 30,000 inhabitants. Grüssau became part of Prussia in 1742 and the monastery was secularized in 1810; subsequently the musical part of the library (including the lute tablatures) was transferred to the Royal Academic Institute of Church Music in Breslau (today Wrocław). In 1952 the lute tablatures were moved to the University Library in Warsaw where they are stored today. 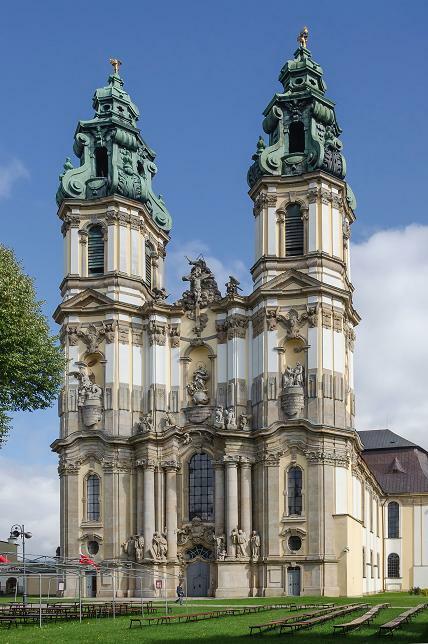 The monastery was re-established in 1919, this time with Benedictines from the Emaus monastery in Prague. However, after Grüssau fell to Poland in 1945, the monks were expelled and moved to Bad Wimpfen in Germany (1946). The monastery was instead populated by Benedictine nuns from Lviv (Lemberg/Lwów/Львів) who persisted the subsequent communist persecution in the years 1953–1989 and still inhabit the monastery today. The majority of the lute tablatures were written during the Bohemian era in the first half of the 18th century, but some extend into the Prussian era. 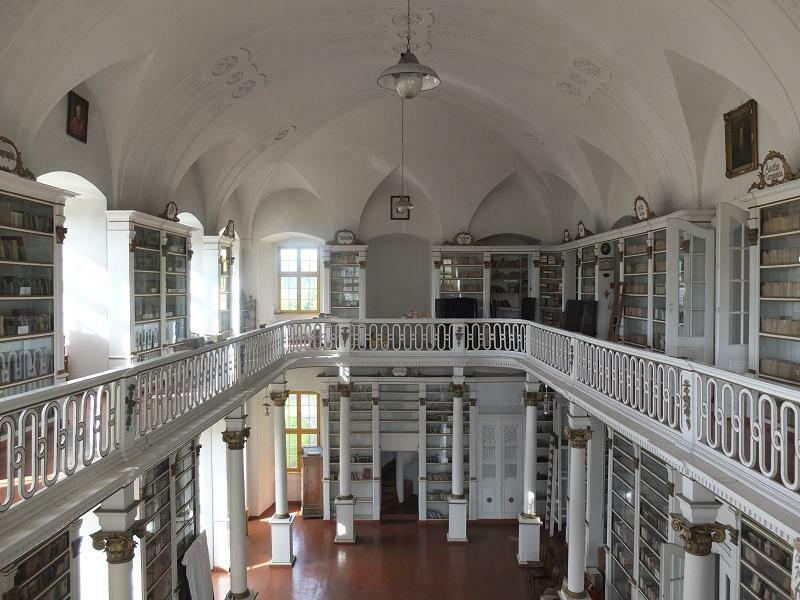 Also many monastic buildings date from this period (the entire abbey complex in Grüssau is known as the “pearl of the Silesian baroque”), including the two-storey library. Its rich inventory comprised many lute sources, including a series of virtually unknown pieces by German and Bohemian composers such as Georg Philipp Telemann, Franz Xaver Richter, Martin Prantl, Gottfried Finger, Karl Sedlack and Jan Zach. A Lully has won fame; Corelli may be praised; but Telemann alone above all praise is raised. This quote from music’s “Who is Who” by the distinguished composer Johann Mattheson or the title of incomparable master bestowed upon him by Christian Friedrich Daniel Schubart show the high esteem which Georg Philipp Telemann (1681–1767) enjoyed among his colleagues and music theorists of the 18th century. And rightly so! No other Baroque composer left future generations with so extensive and diverse compositions of the highest quality. Telemann composed in almost all the forms and genres of his time: Operas, cantatas, oratorios, passions, concerts, overtures, sonatas, suites, the list could be continued. Telemann himself played the harpsichord, the violin, the flute, oboe, shawm, viol, etc., so he could fully deploy each instrument to its advantages. Yet almost nothing is known about his relationship to the lute. The lute pieces that Telemann edited in his periodical Der Getreue Musikmeister were written by other composers: Silvius Leopold Weiss and Ernst Gottlieb Baron. 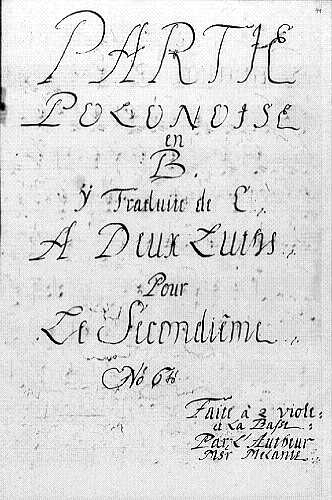 Title page: Partie Polonoise en B traduite de C Nº 6to par Msr. Melante. Some years ago, the musicological world was surprised by the identification of an instrument called galizzona (also mandora or chalcedone) and its deployment, among other things, in many of Telemann’s cantatas and orchestral works. This instrument of the lute family was a contemporary of the baroque lute. It was mainly used to play basso continuo or simpler solo repertoire. In constrast, the baroque lute was primarily a solo instrument and was also often played in chamber orchestras. In addition to compositions in the popular combination of lute with violin and bass (Lauthen Concert, lute trio), lute duets with flute, or real lute concerts with obbligato lute, there also have survived several notable duets for two lutes. Most of them stem from a single anthology from the Grüssau collection under the signature MF 2001. Altogether this anthology contains 13 duets, and some of the title pages indicate that they are arrangements for two lutes of pieces originally written for a larger instrumental ensemble. Besides being an important source of music for this instrumentation, they are also often the only surviving version of the indicated compositions; indeed, in most cases the original orchestral version is not preserved. This is the case for both Telemann’s works in this programme; only the lute versions are known, and even though they are not original, they are still a very exciting discovery for the research of Telemann. The fact that Melante, the author of two partitas in a forgotten tabulature anthology, is an anagram of Telemann’s name, was not realized even by the professional public for a long time. At the same time, the Partie polonoise with its remarkable structure is indeed an example of Telemann’s mastery in applying the so-called national styles — dances with the names Hanaque (Hanna, Haná in Moravia) und Sarrois (Sorau, Żary, today in Poland, the city where Telemann in 1704–1709 was chapelmaster at the court of count Erdmann II von Promnitz). 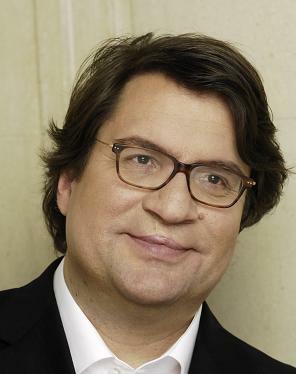 Richter’s Partie in the manuscript MF 2001 was until recently such an orphan. The Polish musicologist Grzegorz Joachimiak, who devoted his dissertation to the Grüssau collection of lute manuscripts, found in the university library in Uppsala (Sweden) the original music material that apparently had served as template for the reworking as a lute duet. We can thus trace the steps taken by the Grüssau scribe while arranging the orchestral scores for the instrumentation for two lutes. It is remarkable that in yet another anthology in Grüssau, MF 2009, there are works by Telemann. They are written as part of a Suite in A minor. It is followed by works by Gottfried Finger, a native of Hanna (Haná, the area depicted musically by Telemann in the last piece in today’s concert, the Partie Nº 6). While Finger himself probably was an active lute player (James Talbot at least describes him as playing the mandora) and these compositions apparently were written for the lute, the movements attributed to Telemann are surely secondary arrangements. Surprisingly, they are again the same compositions, movements from Partie Nº 13 from the end of our programme, originally written for chamber ensemble. The version for solo lute is in the original key of A minor. The third appearance of movements from this very Partie Nº 13 – this time in G minor for lute solo (or the second lute part has been lost) – is in a manuscript probably of Grüssau origin, today kept in Stockholm. Thanks to the research of one monastic collection, also the available solo repertoire for baroque lute has been enriched by the names of some renowned composers. It takes place with financial support from the Česko-německý fond budoucnosti and the Statutory City of Brno.